Capacity-sense Speeding of processor, we can proudly note that our technology for optimizing the Client-Application effort is in absolute top-class. SUNIT-FMC unites Efficiency, Sharpness, Precision and Alertness in a compact package. It is mountable for versatile purposes and serves certainly Applications. SUNIT-FMC for demanding Applications as Mission-critical, Heavy-duty as well as On- Off-Road and Industry. 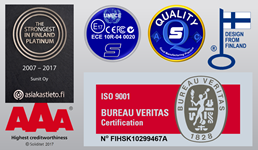 It is compliant with Industry Standard ISO-16750 (2, 3, 4,5) and is E-Certified. Stand-Alone Tri-graphic technology with Intel HD Iris and Iris Pro smart Processor technology with HD Audio, the Image quality is as life-like as possible. Dual-computing for IoT. Integrated, Stand-Alone Telematics computer for CAN-Bus, sensors and data-I/O’s are ease-to-reach via Sunit-TLINK to Client application. On top, the G-sensor equipped GPS with ADR ensures the accuracy positioning. EAGLE-IRIS, for Demanding Duties. They ask progressively solutions and Intelligent applications where the role of computer demands as a trusted server is obvious. ANPR, Traffic Surveillance, Videoing, Blue-Lights, Speed-measuring's, Duty-Applications and Vehicle monitoring in generally shall run by compact Hardware. Sunit Wide-view digital Touch-screen technology delivers safe and reliable for versatile HMI. Firm design, Auto-ambient luminosity, quick response time and wide viewing are keys for screen-HMI on commercial Duties. Smooth Casing-design, crack-resistant surface, tough and elastic formatting are characteristics that always highlights our Screens. Light and firm design enables a selectable placements. Multi-Screen Technology - Singe-CPU with up-to 3 Stand-Alone HMI is efficient and cost-effective solution for installations with Multiple Users. In addition, selecting of Serial-connection of several Screens, admits multi-users of equal information. 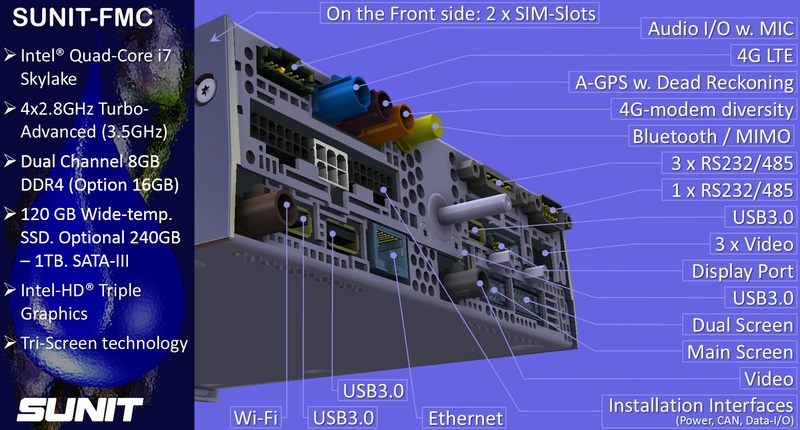 OSD (On-Screen-Display) -technology opens new world for the HMI-technology. It is not necessary use O/S for all Touch-Functions, they are available "Direct-on-Sofkey". The OSD with Touch opens new possibilities for Client-applications outside traditionally Screen technology. Loca-Area Controls. like CAN-communications, Sencors-Interfaces. are available by Soft keys. The Screen Adjustments for Brightness, Contrast and Volume are now Screen-Individually.